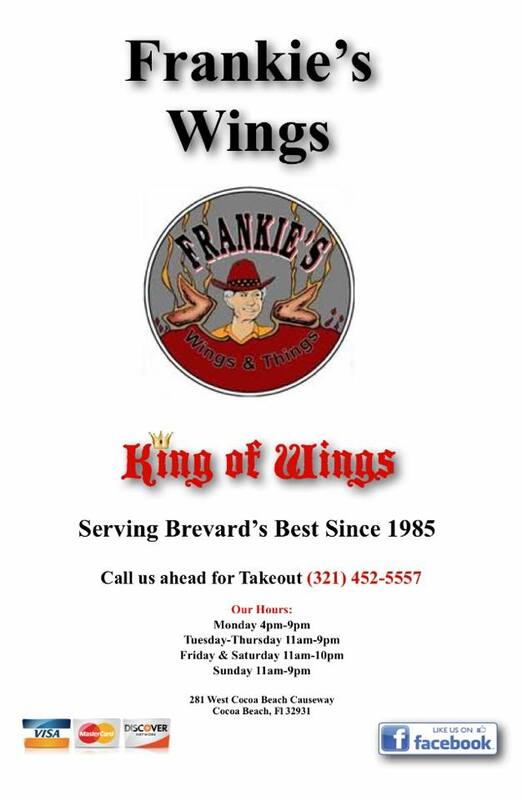 Serving Brevard's BEST since 1986! We truly are the "Home of the Finger Foods". Our Menu ranges from chicken wings to salads to wraps and burgers. Check out our menu (under "Photo Gallery"). Come in OR call for your takeout order today! CALL US FOR TAKEOUT TODAY!! !